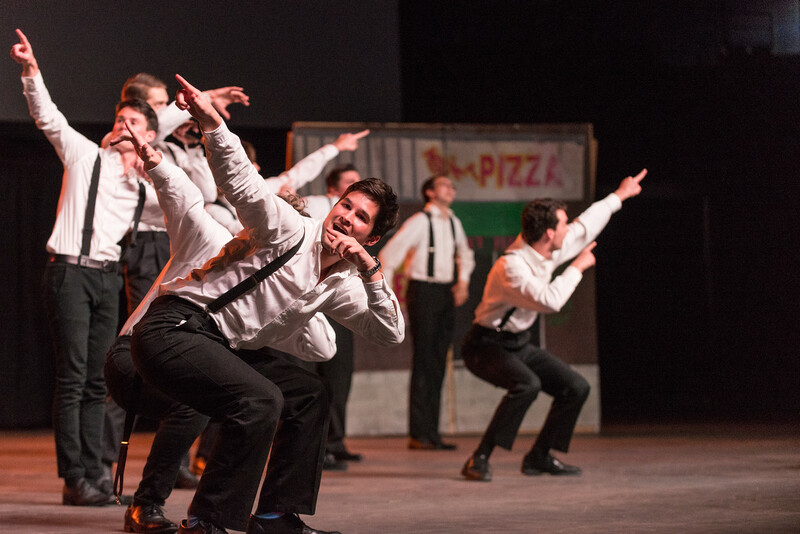 Greek Sing was the final event to wrap-up “Greekend,” a shortened celebration of the annual week-long tribute to Greek Life on campus. 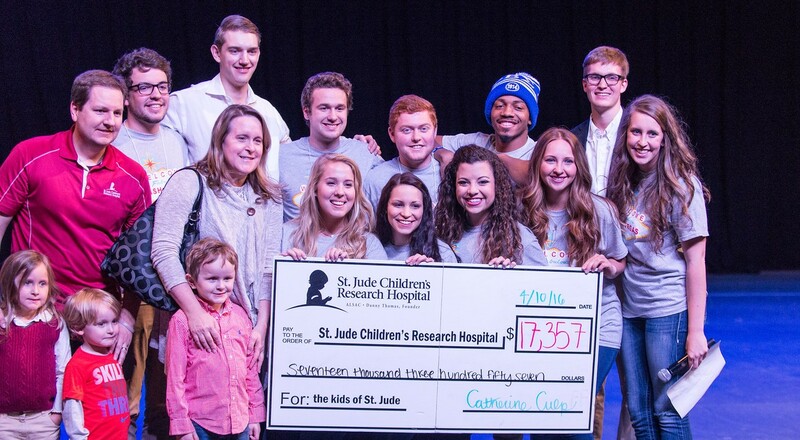 All proceeds from events throughout Greekend and the ticket sales from Greek Sing went to St. Jude Children’s Research Hospital, and overall, the Greek community raised more than $17,000 for the hospital. This is the most the Greeks have ever raised for St. Jude in one weekend. Ian Miller, a former St. Jude patient, and his family, a Belmont alumnus and sorority member, came to accept the money donated for St. Jude. The family was able to connect the Greekend events to the important ways the students impacted families like their own. Assistant Director of Student Engagement and Leadership Development Sarah Rigsby said several changes were made this year to improve the success of the event, including changing the direction of the stage and moving ticket sales online. “We also moved the awards ceremony to after the show instead of the next day so family could be there to celebrate with their student on their achievements. Lastly, all of the groups put a lot of effort into their shows this year, so I think that made the competition even more exciting and enjoyable to watch,” she said. 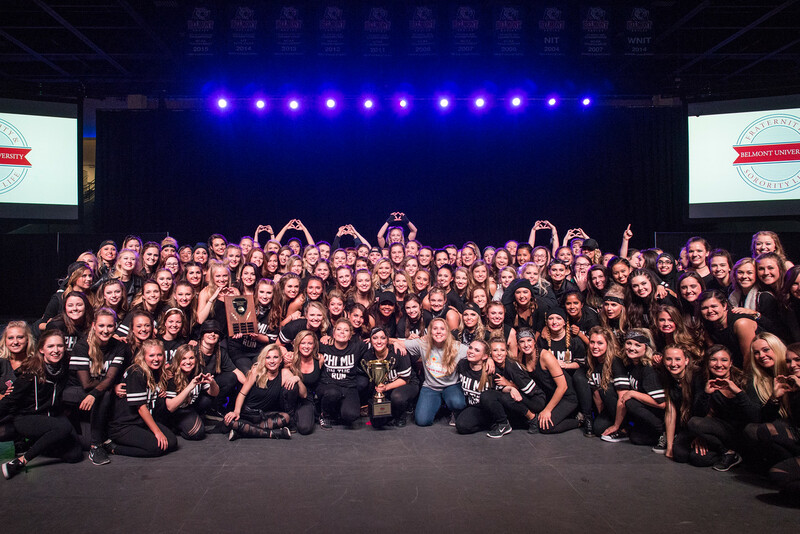 Six Greek organizations: Alpha Gamma Delta, Alpha Sigma Tau, Alpha Tau Omega, Phi Kappa Tau, Phi Mu and Kappa Alpha Theta competed for the coveted trophy by performing a 15-minute song and dance to the theme of their choice. Each group changes the lyrics of each song in order to provide shout-outs to different chapters and to Belmont-related “inside jokes.” Phi Mu not only won Greek Sing, but also won Greekend and the Chapter of Excellence award. Second place for Greek Sing was a tie between ATO and PKT.